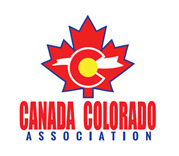 Canada Colorado Association is pleased to announce the new Young Professionals committee. Join us for our inaugural event on April 2nd from 4-6 p.m. at Stem Cider. All ages 21+ are invited. We’ll tour the cider house and then taste and socialize in the taproom. During our event, Farm to Truck food trucks will be parked out front, so you can find something delicious to pair with your cider. Each ticket includes the tour and a flight of 4 ciders. Limited 20 participants. Canada Colorado Association has a firm commitment to protecting your privacy. We will not disclose, to third parties, any identifying information about you without your permission.